The days are getting shorter and colder, the cities are decorated with lights and the first snow has fallen in the mountains. What does this mean? It's time for Glühwein!! Please join us in the Frankfurt Chapter when meeting up on Thursday, December 15, at 7pm for a Glühwein. We will meet at the steps in front of the Schirn Museum next to U4 U-Bahn Station Dom/Römer (turn left when you come up the elevator) across from the Winzer Glühwein under the arcades. 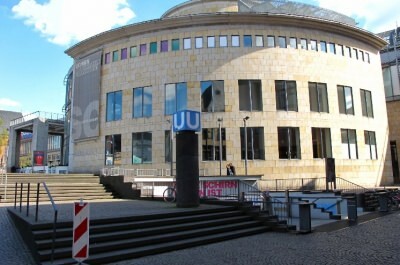 In the photo, the steps we are taking about are to the right of the U-Bahn sign.